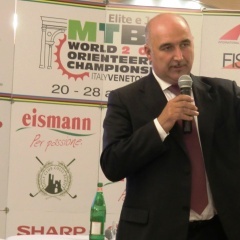 O-Mtb World Championship 2011 is present at BIT in Milan. BIT - International Tourism Exchange, is the biggest exhibition of the Italian tourist offer in the world, and one of the most important appointment for the world tourist industry, with a complete overview of the best international products. MTBO 2011 press conference will be held on 19 Febbruary at 10.30 in the expo of Regione del Veneto - building1 Stand M23 Q32.